With a deep commitment to fostering healthy people and healthy communities for generations, the Nova Scotia Health Authority (NSHA) is made up of over 23,400 employees, 2,600 physicians, 5,500 learners, and 7,000 volunteers who provide health care and support services in hospitals, health centres, and community-based programs throughout Nova Scotia. The Authority’s services are divided across four management zones which are responsible for the operation of acute care health centres and the provision of a variety of inpatient and outpatient services, including continuing care, primary health care, public health, and mental health and addictions. 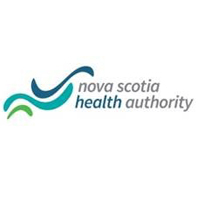 NSHA has an annual operating budget of over $2 billion and a mission to provide people-centered, high-quality, safe, and sustainable health and wellness for Nova Scotians and to engage Nova Scotians to create a healthier future for all. The Vice President, Health Services reports to the President and CEO of the Authority and provides strategic and operational leadership on public health services, the primary health care system, maternal child care, palliative care, and nutrition services. The Vice President is responsible for strengthening collaborative practice teams through the development of health equity-producing social policy, through coordination and trust-building with government partners, and through engagement of physicians, nurse practitioners, and other healthcare professionals. As the ideal candidate, you are an experienced senior executive with an extensive background of leadership in a complex, multi-site organization, and you bring a deep understanding of public health, primary care, or community-based programs and services. You are a proven change manager who skillfully plans and evaluates services and programs across multiple sites with a very diverse group of partners and stakeholders. You are an adept problem solver who has led large-scale projects and change leadership initiatives, who has managed high-performing teams, and who inspires partners and stakeholders to buy into your organization’s vision and mission. Nova Scotia Health Authority is committed to being a workforce that is free of discrimination, values diversity and is representative, at all job levels, of the people we serve. Our priority groups are: Aboriginal People, African Nova Scotians, Persons with Disabilities and Recent Immigrants. Members of these groups are welcome to apply and self-identify if they wish to be considered under our Employment Equity policy. If you’re interested in this opportunity, contact Robert Fleming or Jeff Forbes at 1-866-822-6022, or please apply online by clicking “Apply Now” on the button below.